Perhaps your hair is on the shorter side and you’re looking for an updated look, or maybe you’re trying to decide whether you should go for the chop. Either can be daunting, especially if your hair has always been long. Regardless of your need for inspiration on shorter styles, you’ve come to the right place. 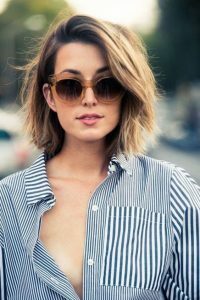 These 30 amazing short haircuts will have you practically sprinting to the salon! 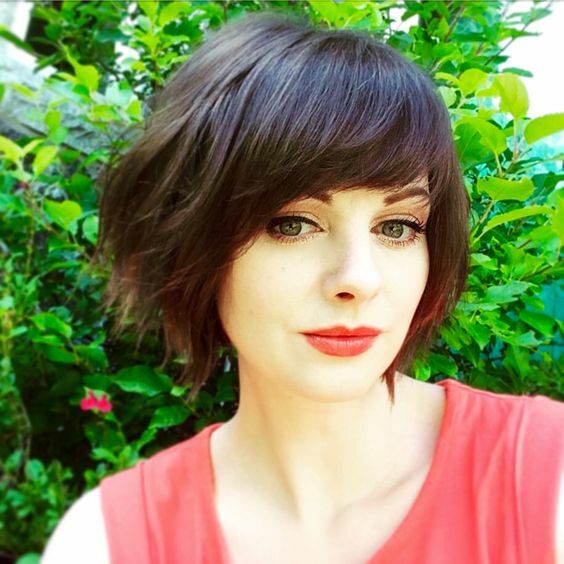 This adorable hair cut is super cute and looks great for those of us on the more petite side. The soft, rounded edges make sure this cut perfectly frames the face whilst a heavy fringe adds a little more character to a simple look. This one is perfect for those with slightly wavy hair and a casual approach to hair styling. 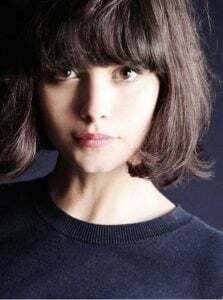 Ask your stylist for a shaggy bob, it’s a cool and casual look that’s perfect for the warmer weather and really on trend right now. Let your hair dry naturally and flick your hair over to one side in a heavy side parting to complete this effortless look. This cut is great if your hair is straight and on the thinner side. A shorter cut will always cause your hair to look fuller and thicker plus a fringe creates the illusion of more hair as it surrounds your face. Keep your fringe delicate and choppy to keep this look light and fresh. This cut is super sleek and sophisticated. The addition of light feathering around the face adds a more delicate touch to the straight cut ends. 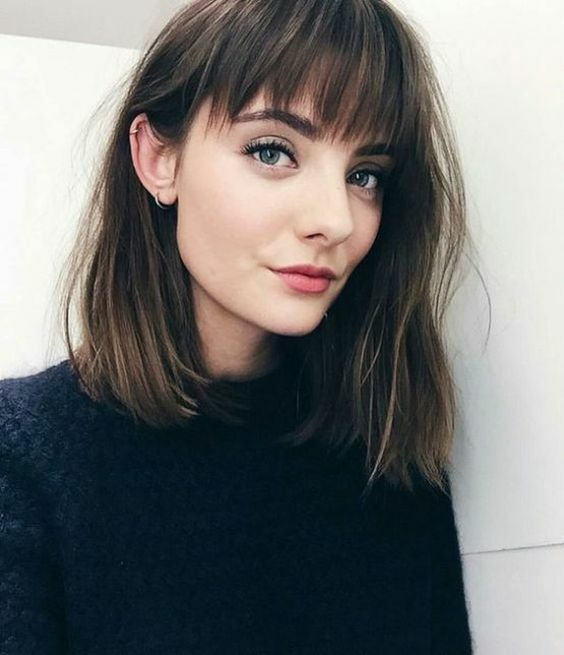 This cut also works brilliantly if you’re growing out a fringe, just ask your stylist to graduate the curve of your long bangs in to the cut so they blend seamlessly together. 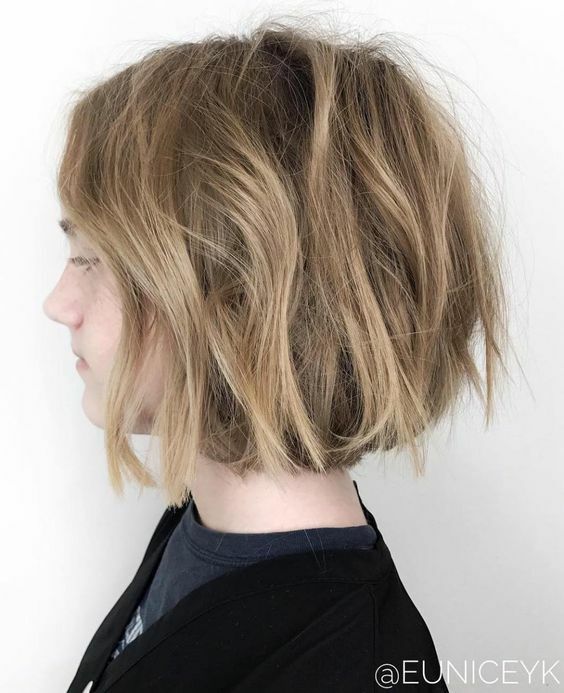 Add some volume to your look with a short, messy bob. This is a great get up and go look that won’t require a great deal of styling. Ask your stylist for choppy ends to enhance the playful nature of this haircut. This choppy bob is striking on a platinum blonde but actually looks great whatever your hair colour. Style your choppy cut with a heavy side parting and sweep the fringe across your forehead to create this exact look. Curling the centre of the strands will enhance the straight cut ends. A long bob looks great with a heavy side parting and minimal styling. Let your hair dry in it’s natural state and simply flick your hair over to style. It’s a cool, effortless look that works on most hair types. You may have always shied away from shorter hair cuts if your hair is particularly curly but we’re here to tell you that’s a mistake. 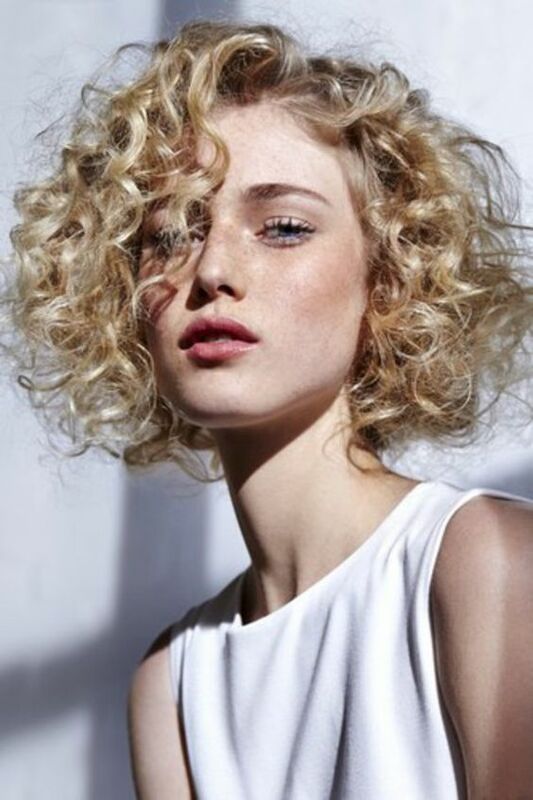 Short curly bobs look absolutely sensational! You already have all of that natural volume and bounce so this hair cut looks amazing with minimal effort. Simply add in some anti frizz styling products if your hair is prone to frizz to keep your curls sleek and shiny. The Lob is quite frankly, a revelation. 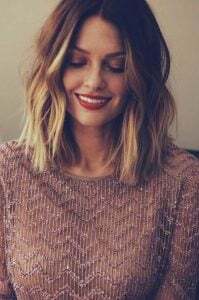 For those who’ve always wanted to go shorter but still want some length to play around with and put into pretty styles this is the cut for you. 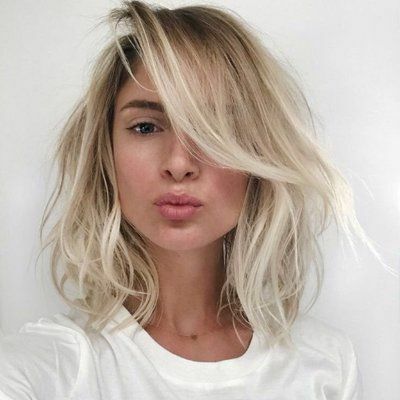 Having the hair all one length is very bohemian-chic and also means you can have shorter hair but still be able to pull your locks in to all your favourite styles without pieces falling out. This is a great look for those with curly hair. 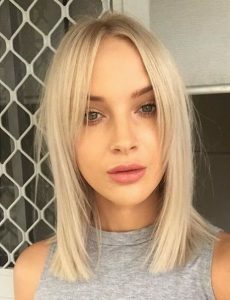 Ask your stylist for blunt cut ends and style the very tips of your hair straight to accentuate the blunt cut at the bottom for a more edgy look. Again this is one style that may seem scary if you’ve never tried it but the result is a gorgeous, fresh look that’s perfect for summer and also looks gorgeous with headbands and silk scarves. 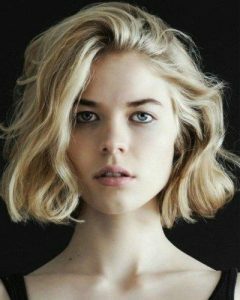 Wavy hair looks great cut in to a bob. You get that ultra pretty, easy going look without all the effort of styling long hair. This ultra modern style can be daunting at first but it’s definitely worth it! This style looks particularly amazing when you can add volume at the back through volumizing powder or spray or some very mild backcombing. Finish with some sleek, heat styled curls at the front to keep it glossy. This short bob looks amazing with the hair dried naturally and a quick flick of the front section over to one side. 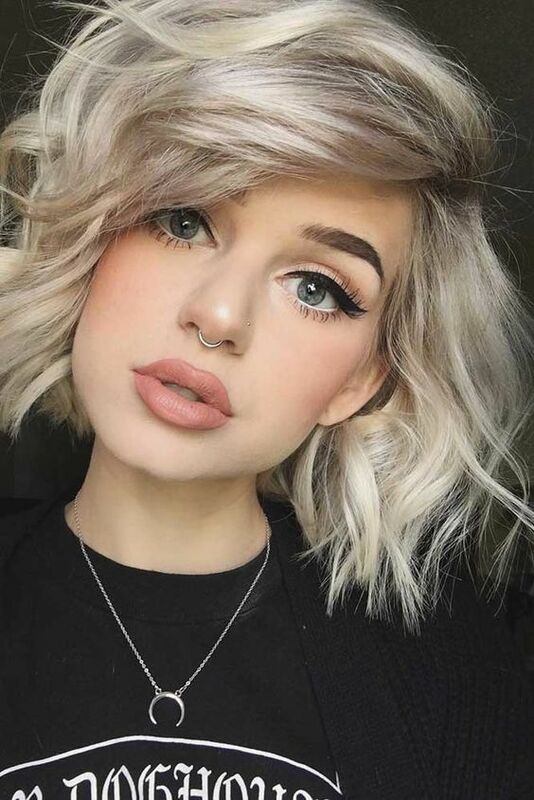 It’s very subtle styling that sets this particular bob apart. This is a great option if you want to try a pixie cut but still want some volume and length to work with. Have the sides a little shorter and keep the top on the longer side. You can definitely play around more with this style. 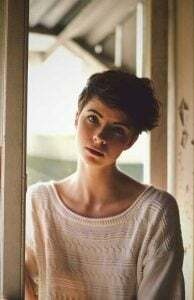 If you really want those shorter sides, try an undercut with your pixie and ask for a long fringe so you still have some length to style and play with. Go for a long pixie cut that tucks behind the ear with a side swept fringe for an ultra chic cut. If you’re feeling even more experimental, try it in a pastel shade of pink! 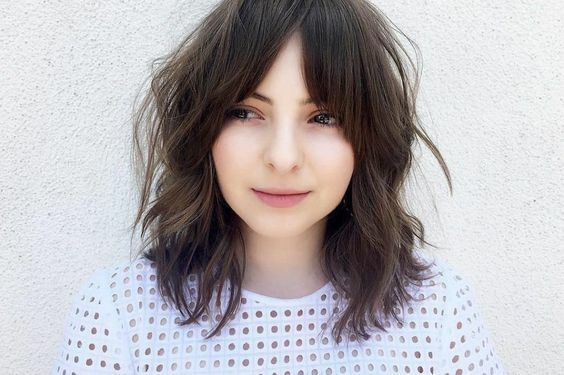 Go for an all over choppy look with choppy ends and a choppy fringe. 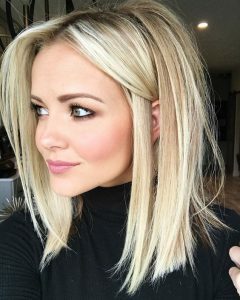 Although this look isn’t exactly a sleek cut by normal standards, the healthy shine and styled edge it will give your hair gives a sophisticated, styled finish. The Lob also looks great with straight hair and gives a sleek and polished look to your locks. If your hair is naturally straight this look is perfect as it will require minimal styling and remains chic and elegant. Don’t rule out a pixie cut even if your hair is super curly. 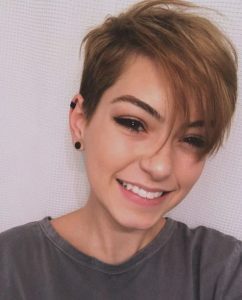 By taking the sides a little shorter but keeping the length of the curls on top you get a fantastically cool cut that those with straight hair just can’t achieve. It’s a really beautiful, effortless looking style that takes minimal effort yet due to the gorgeous curls looks incredibly impressive! Keep your look edgy with a short, straight cut bob. This look adds fabulous amounts of volume to your locks and looks just adorable styled in a half up, half down do. If your hair is on the thinner side this cut is ideal for you, you’ll have volume like never before and the fact that you’ll have the same length all the way around the cut actually opens up a surprising amount of style options for you. 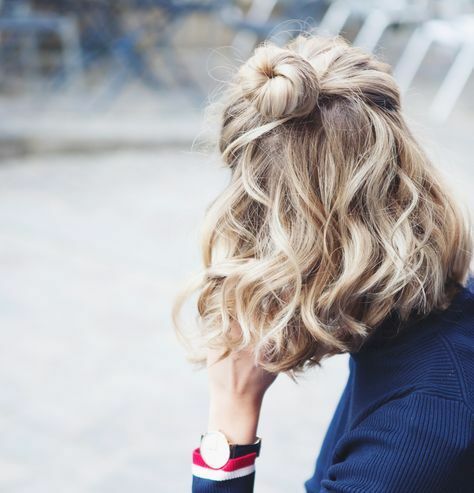 Mess up your lob with your finger tips and some texture spray to achieve this simple, super fun hairstyle. Flick it over in to a side parting and scrunch the centre of your strands to add serious volume. This look is really beautiful and all you’ll need is a super sleek, side swept fringe to add some serious style to your haircut. Ask your stylist to add this in on your next appointment! 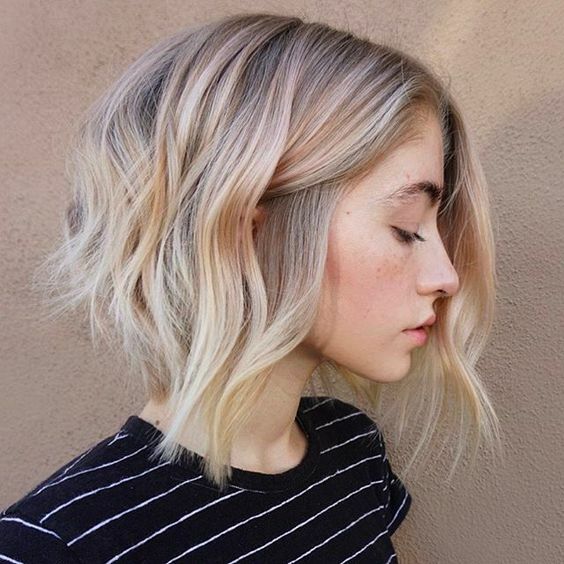 This is one of the prettiest ways to rock a bob. Ask your stylist for layers to soften the bob and add in a fringe to really soften the overall cut. 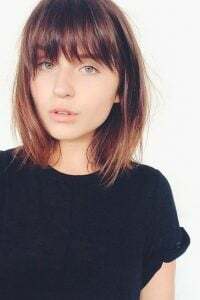 Lobs look great pretty much however you style them but we sure do adore this particular cut with a lightly feathered fringe. It gives this style a nice soft finish and works perfectly to frame your face and enhance your features. 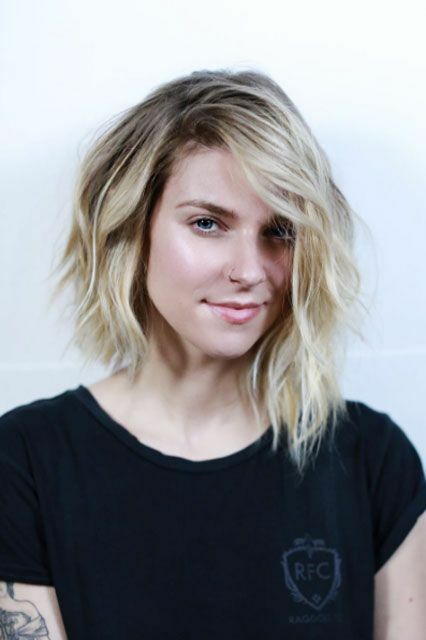 Add some texture to your hair with this beautifully layered bob. The heavy fringe is masterfully swept to the side to add drama whilst incorporating seamlessly in to the style. There’s nothing quite as stylish as a french bob and this particular cut with heavy bangs is just beautiful. 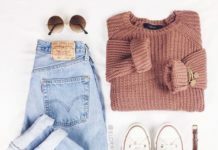 Perfect for those who love the a cute, preppy style. If you think your regular fringe may look too harsh with your new shorter cut, grow it out in to a curtain style that parts in the middle. 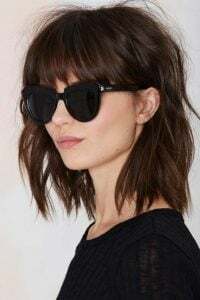 You still get the look of bangs but with a slightly softer finish and less need for constant styling and re-positioning. Ask your stylist for a short textured bob and don’t be afraid to get creative with your styling. Add some texturising spray and sweep your hair over to one side to achieve this gorgeous hair cut. Don’t be afraid to play with the lines of your hair cut. Try an asymmetrical cut this time around for a more playful take on a classic style. 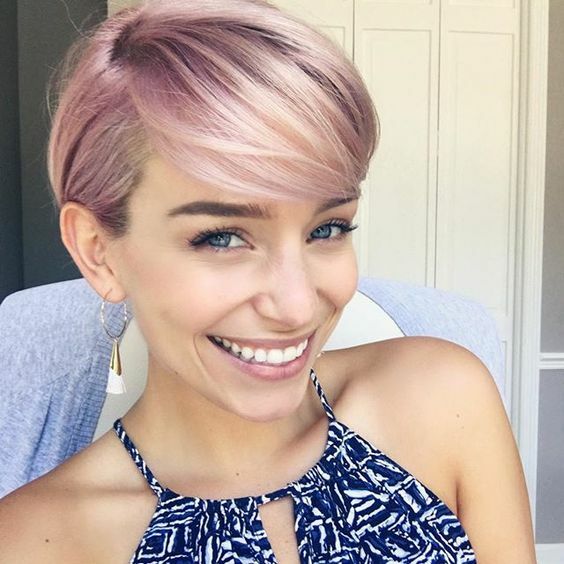 You may not be used to something so bold but once you leave the salon with something a little more fresh and different to what you’re used to, you’ll feel like a brand new you!